At The Window Workshop, we offer the supply and installation of Aluminum Warm-Core Bi-Folding, French, Residential doors and windows. Aluminum can be a great choice for those looking for great aesthetics and finish. In the past, it meant prioritising to some extent style over energy efficiency. However, with the innovation of Aluminium Warm-Core, you don't have to make the choice between style and thermal efficiency. Aluminium Warm-Core is a dual-system of aluminium finish with a PVC 'core'. Aluminium Warm-Core has some of the best thermal properties available on the market today, meaning that it makes an ideal choice for someone looking for a stylish door or window that is at the same time energy efficient and will keep your home warm during the winter months. Ideal for both domestic and commercial clients, Aluminium Warm-Core is highly durable and will stand the test of time. 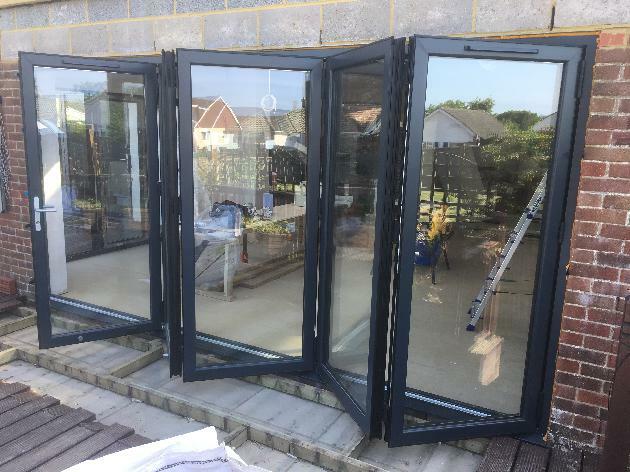 If you're looking for a professional installation service for a Aluminium Warm-Core Bi-Folding, French, Residential door or Window, look no further. At The Window Workshop, we are expert installers with a dedication to great customer service. Our installers always aim to be as accommodating as possible and are always clean, tidy and respectful of our customers and our customers' homes. We are based in Peacehaven and offer our services throughout Sussex. If you're local to us and are interested in Alumunium Warm-Core products, we would love to discuss any questions you may have. If you would like to know more about Aluminium Warm-Core or would like to find out if it's the right choice for you, please get in touch with us today. To get in touch with us, please give us a call on 01273 589066 or fill out our website's contact form. Thank you and we look forward to speaking to you.